Hello and welcome back! This is episode 2 of Raw Podcast. Thanks so much for returning and giving us another shot and if you’re brand new to this little podcast of ours then we love it if you’d give episode 1 a listen too. If you are a podcast lover and use a podcast app then we’d love it even more if you’d subscribe and that way you’ll be able to stay up to date with all future releases. 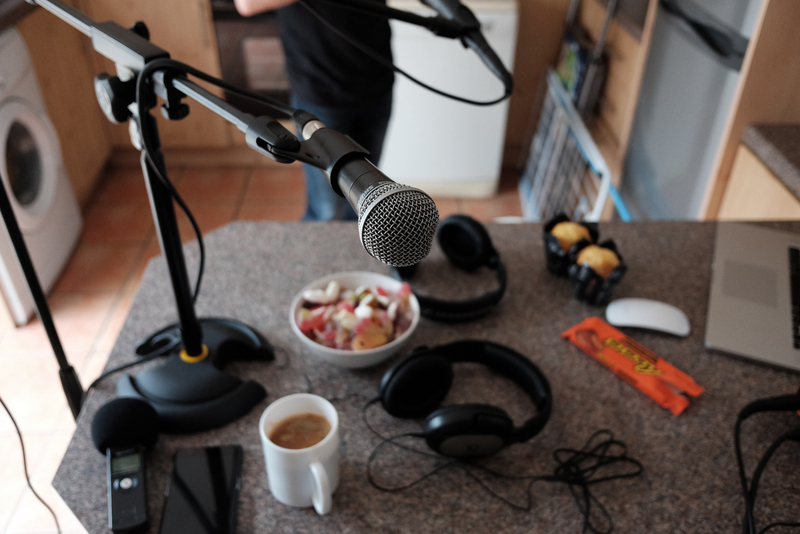 So – loaded with fresh coffee, a bowl of haribo’s, lemon cupcakes and Reeces peanut butter cups we launchd into this week’s episode with sugared up gusto and here is what we covered. Along that conversation path here are the various things we talked about. So we started at the beginning and what made me move from Canon to Nikon. This review from Ross Harvey was pretty much to blame for that. Then we discussed my path from there. I did have a love affair with the X-T1 for quite sometime. My biggest post ever was when myself and my wife drove Route 66 on our honeymoon and using just the X-T1 and the 23mm 1.4 you can see the results of that here. So – here are the Dave’s various Fuji Cameras. We also made mention of the Fujifilm X-T2 that is coming out in early September. Check it out here. WANT! Holdfast System – Cool as it is I stepped away from it once I went to mirrorless. Peak Design Slidelite specifically designed for smaller camera bodies. I can’t recommend this camera strap enough. It’s super comfortable and so easy to adjust to make shorter or longer given the circumstance. Spider Holster – I like the Black Widow version best as it’s discreet. If you’d like to see some of the weddings Dave has shot since making the switch to the X-Pro2 then you’re in luck. Here are a few that he’s blogged so far. This was the first one and all shot in JPEG. And the following were all shot in RAW. And that is pretty much it folks.That’s it folks. I hope you enjoyed that. Feel free to leave a comment below and if there is anything you’d like us to talk about then we’d love to hear your suggestions. Hi, there isn’t an Episode 2 on iTunes, just a heads up. Thanks Ranz! That should be working again! Thanks for the heads up! Just had a listen to that one. Well done again lads. Was of much interest to me as bought a Fuji xt1 a few months ago to relieve the tennis elbow / rsi I was getting with the Nikon D3s. Agree with low light AF and IQ comments for the xt1 though. Still using the D3s for aisle processional and dancing. Fuji is great for outdoors though. Also tried the jpeg only thing, and went back to raw. Not a fan of classic chrome, and the jpeg noise reduction is horrible, even with nr turned off … Anyway, keep up the good work! Dave here – Cheers for that Rory. The XT1 is some camera but I’d agree with you on the AF. I remember when they bought that firmware out for the XT1 it seemed to help a little but for sure it just wouldn’t have been up to something like the MK3 or other DSLR’s. The X-Pro2 made massive improvements in that dept though. And a lot of folk agree with you on the muddy jpegs. It’s hard to argue with shooting in RAW and doing what you want to them, even if the post processing does take that little bit more effort. Hi guys. Just a note to say I’ve been enjoying the podcasts – they’re my “driving late at night” company. Had been pondering the XT-2 before hearing Dave’s thoughts on the Fuji system. Decided to order one and having played with it for the week am waiting for my second one and all my Nikon gear is up for sale. Moving over entirely. The AF is great. AF-C probably not quite up with the Nikon D750s I’m moving from, but still quite good and definitely good enough for professional use. Will look forward to the flash, though did order a Nissin i40 for TTL so that might suffice. All my OCF work is manual anyway so keeping the Nikon speedlights for that. But looking forward to shooting a silent/near silent small discrete camera at future weddings. Keep up the good work, and I look forward to Episode 6!